In today’s educational climate, data is a significant player in the evaluation and accountability of interventions, processes and the success of student outcomes. So much so, that it can be challenging for educators to get their head around how to use data to inform their practice. At times, data is perceived as the antagonist in our story of student progress. It can provide opportunities to examine and celebrate positive practices and achievements in school settings, but can also highlight weaknesses and areas of improvement that school cultures may find challenging, confronting and personal. I have tried various ways to restore data’s reputation. 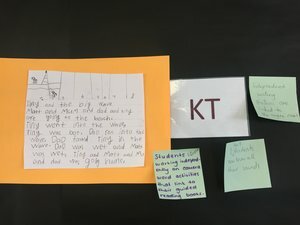 I have dressed it up in different names, used it to drive professional learning, experimented with different staff grouping methods and adorned the walls with numbers, names and faces. 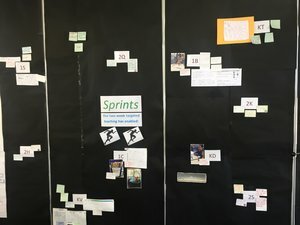 Nothing quite had the impact that Learning Sprints did in my school setting. Relational trust is paramount in working alongside staff to foster a culture of positivity, innovation and collaboration. I have observed that the higher the level of trust, the deeper the reflection process is in a Sprint session. Teachers that exhibit strong relational trust are open to advice, do not take constructive feedback personally and express a strong desire to continually improve their practice. No amount of success is too small. Celebrate it all. The Sprint process allows teams to start and end with students. Data does not necessarily mean a number or a placement on a data wall anymore. 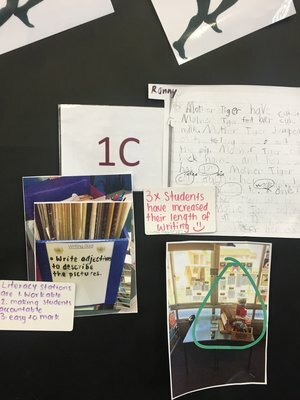 Impact walls now drive our success; a space where teachers display work samples, student dialogue and pictures to show the impact they make in their classrooms after a small and deliberate change in practice. Our Learning Sprints are beginning to create opportunities and an environment where students can succeed and educators can develop and refine their craft in a safe and supportive way. In short, they know their students. The Learning Sprint process has been most successful when followed up with a shoulder-to-shoulder approach to coaching in the classroom. It gives unprecedented insight into the strengths of your team members and allows opportunities for feedback and context when the next Sprint cycle arrives. Incubate a small team who are on board and are willing to engage in the process in a positive way. This also gives you a chance to practice and refine your role and skill in the Sprint process. Our early results over one term have been significant. 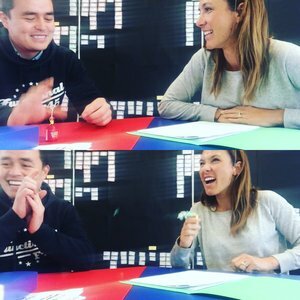 In our last ten-week period, our granular sand-like focus on small improvements has made some significant boulder sized shifts in student learning compared to previous terms in Year 1 alone. Evidence of impact like this will support your proposal to amplify it across your school. Ultimately, Sprint cycles are helping staff to be strong evaluators of their own practice through differentiated professional learning, student focussed conversations and the application of purposeful learning experiences that aim to meet the specific needs of all students.